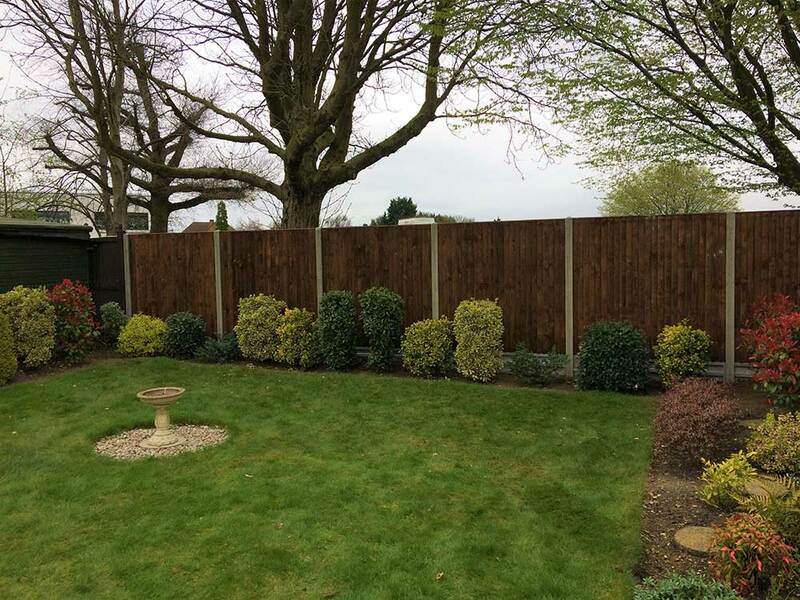 Every type of fence can be sourced and installed to suit your requirements, with the option of using concrete or wooden posts and the appropriate gravel board and fixings. 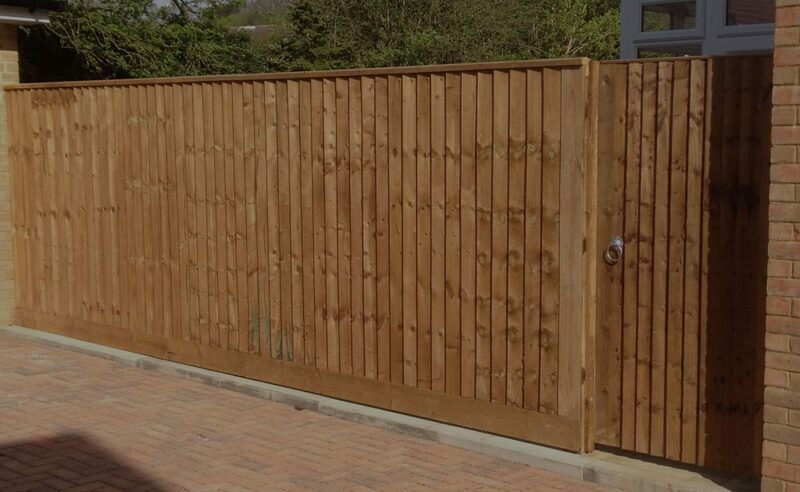 We supply and install domestic / garden fencing and gates which include a selection of products which are available in various heights and can be adapted to suit your requirements. Timber products can be installed with either Concrete or Wooden posts with the option of using either Concrete or wooden gravel boards. Regarded as the strongest option for the domestic market. This style of fencing can provide a secure boundary fence and is also used to provide sections of privacy fencing between properties or to divide gardens. Individual components are assembled on site to provide a rigid fence with post centres at a maximum of 3 metres centres. The closeboard panel system offers a strong durable panel which can be used as a boundary fence or to define internal boundaries and provides privacy. The pre formed panels are best suited to areas where the ground is uneven and the fencing needs to be stepped. The panels are manufactured in various heights to a width of 1.8 metres. Wany edge / lap panels are available as an alternative lighter option. 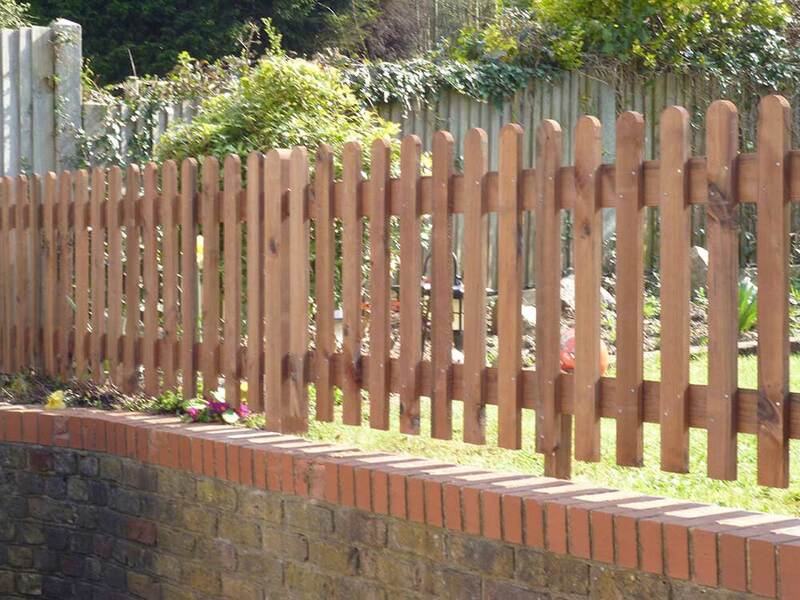 Wooden palisade fencing is very adaptable and is used in the garden , parks,and school environments. Assembled on site, various design patterns can be achieved using this product with the choice of flat, round or pointed top pales. Chainlink is another versatile product which is manufactured in various heights and is finished either galvanised or plastic coated in various colours. Chainlink fencing can be used to provide a boundary fence or to segregate communal areas etc. 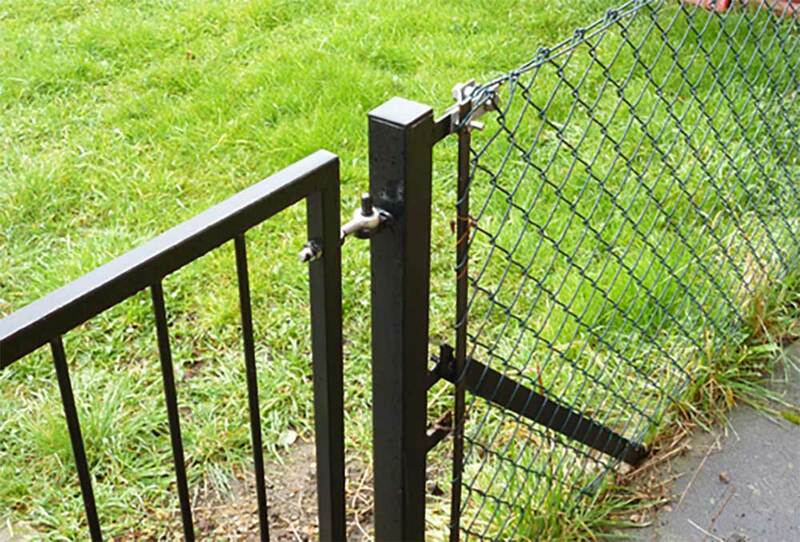 This style of fencing is supported by either concrete or steel posts. 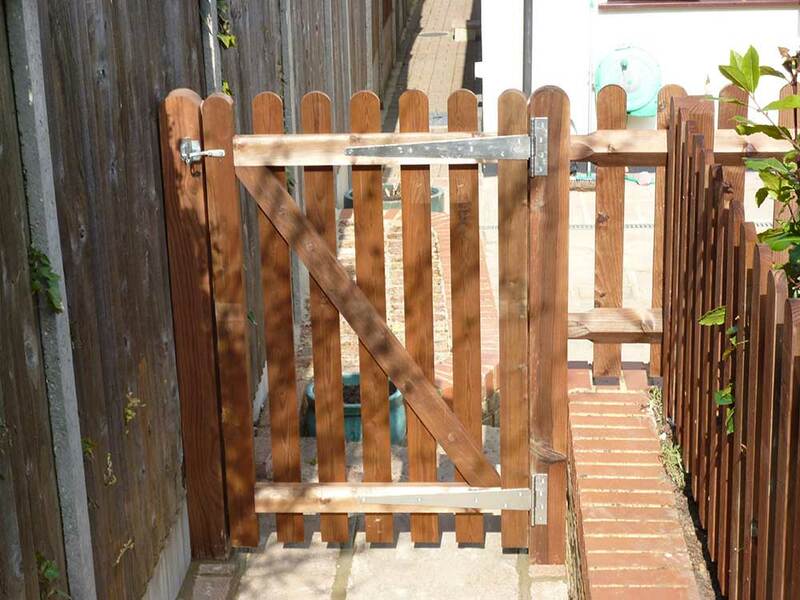 A wide selection of gates are available to suit all ranges of fencing.